When it comes to what the government wants us to eat, a picture is worth a thousand words. 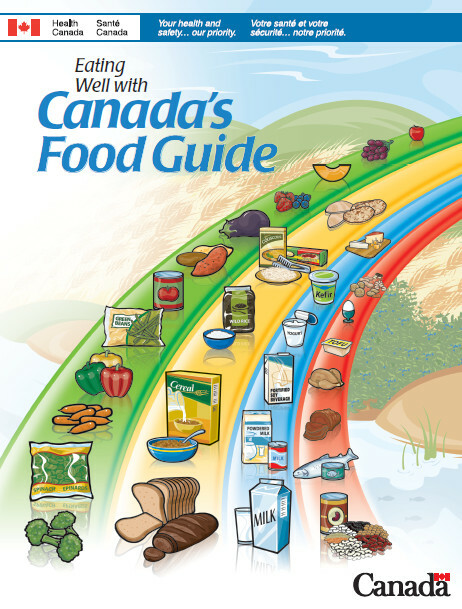 The newest version of Canada’s Food Guide contains plenty of words designed to encourage healthy eating habits, as well as one picture representing a summary of all the dietary advice. The picture is of a plateful of food, divided neatly into one-half vegetables and fruits, one-quarter whole-grain foods and one-quarter assorted protein-packed foods. 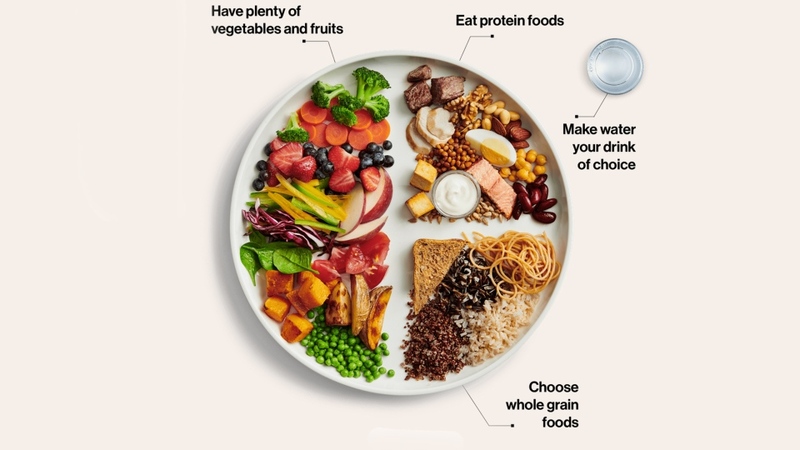 Health Minister Ginette Petitpas Taylor told CTV’s Your Morning Wednesday that significant thought went into determining the specific foods and proportions that appear in the picture. “We wanted to have a good diversity on our plate,” she said. A glance at the historical record of these images shows stark changes to the kinds of food the federal government has encouraged Canadians to eat. 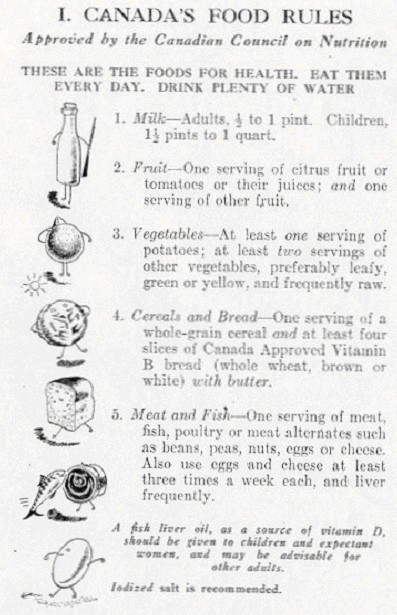 Canada’s Food Rules, as they were then known, first adopted imagery in 1944. These pictures appear to be illustrative and not meant to be taken literally, as they show anthropomorphized versions of a head of lettuce, an egg and other recommended foods. The images were updated in 1949 to be more representative of the suggested diet. 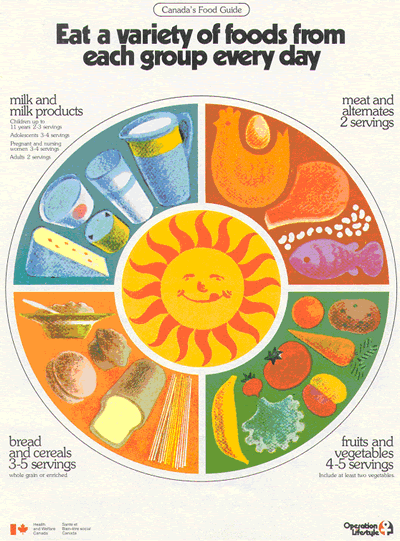 A 1977 redesign continued this theme, showcasing government-recommended foods such as potatoes, muffins and milk. 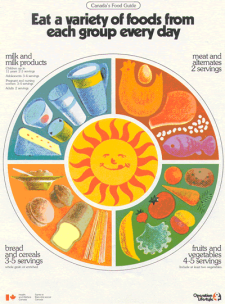 It wasn’t until 1992 that the Food Guide took proportion into account, using its graphic to emphasize that people should consume more grain products and produce than dairy items and meats. The 1992 version of the graphic shows a number of foods which the government no longer promotes as healthy, including 2 per cent milk, processed cheese slices, orange juice and packaged deli meat. 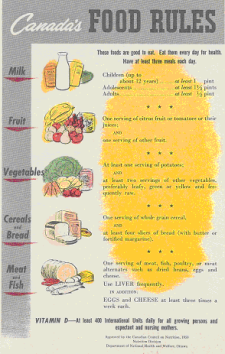 Those items were all gone from the guide by 2007, but the remaining foods still largely mirrored the pictures presented since the 1940s, with prominence given to broccoli, bread and milk. The meat and alternatives category offered a hint of what was to come, as beans were for the first time displayed ahead of chicken, beef and eggs. 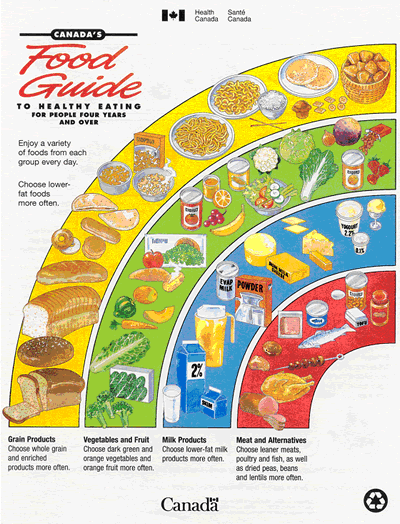 The plate image released Tuesday represents a significant departure from any of the previous Food Guide illustrations. For one thing, the proportionality is more pronounced, with vegetables and fruits taking up half the plate. That was music to the ears of Toronto-based nutritionist Lianne Phillipson, who told CTV News Channel she had already been encouraging her clients to add more produce to their diets. “No one ever eats enough fruits and vegetables,” she said. There is no milk or fruit juice in the newest version of the guide, which now describes water as the “beverage of choice” and warns of the sugar content of other drinks. The produce section does include frozen peas and carrots, as well as canned tomatoes. According to Petitpas Taylor, these were included to show acceptance of frozen and canned vegetables as lower-cost options. Much of the protein section is taken up by beans, nuts and pulses, although some space is occupied by chicken, beef, fish and dairy. “You don’t have to give up all meat,” Phillipson said. 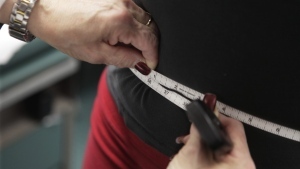 “We’re not telling Canadians not to eat dairy products or not to eat meat products. What we are telling Canadians, however, is to look at the variety of foods that are available out there,” she said. Jill Harvie, a spokesperson for the Canadian Cattlemen’s Association, told CTV News Channel that the group was “pleased” to be featured at the top of the plate. She said the beef industry plans to promote beef as a “nutrient-dense protein” that can provide iron, amino acids and other nutrients in fewer calories than some plant-based proteins. “A piece of steak … really has a lot of protein in it. You might have to eat a can, a can and a half of black beans to be able to have the same amount of protein,” she said. The Dairy Farmers of Canada advocacy group has taken issue with the removal of milk and alternatives as a food group and the government’s overall softening stance on milk as a recommended beverage.